The area of the peninsula on the Cooper River above the dock yard is seeing a lot of revitalization these days: new waterfront residential units have gone up recently, a new retirement facility is under construction now, and a new park is being fashioned on the former Ansonborough Green. But perhaps one of the most fascinating proposals for the area is the International African American Museum. The 43,5000 square foot museum will be a starting point for African origins and family histories, as historians estimate that the majority of today’s nearly 40 million African Americans descend from those Africans who arrived in Charleston in the 18th and early 19th centuries. The museum plans to incorporate immersive, interactive exhibitions into its creative center of learning and offer genealogical workshops and resources including DNA gathering and analysis. Much like Ellis Island’s exhibits and resources, this museum will offer all Americans the opportunity to learn and appreciate the origins of our people and our country. We say bring it! The museum’s advocates have been working on this project for over a decade. Up until last summer, the proposed site for the museum was at the corner of Concord and Calhoun Streets, but serendipity intervened to allow its construction on the 1.23 acre waterfront lot in between the Maritime Center and Dockside. While the project does have its detractors--especially considering its $75 million price tag--surely none could name a more historically appropriate site than the former Gadsden’s Wharf. The wharf on the Cooper River was built by Revolutionary War patriot Christopher Gadsden, on his property at the city’s northern boundary in 1767, as described in Robert R. Macdonald’s The Power of Place: Gadsden’s Wharf and American History. The wharf extended 840 feet and was the largest wharf in the country, able to hold in its heyday six ships. In March, 1774 the Gazette reported that the “stupendous work was nearly completed and was believed to be the most extensive of its kind ever undertaken by any one man in America.” A preliminary archeological diglast November revealed remnants of Gadsden’s Wharf, adding to the value of the site as appropriate for the museum. Although slaves were landed and sold from Gadsden’s Wharf from the time of its construction, Gadsden himself was not a slave trader and the wharf was built to accommodate the burgeoning rice business of the Lowcountry. Charles Town and later South Carolina actually placed various bans on the importation of slaves during the 18th century. The 1791 slave revolt in Haiti resulted in a two-year ban on importation of foreign slaves, and this ban was renewed repeatedly for almost ten years. Meanwhile, the cotton industry in the Upstate and Sea Islands tripled output after the invention of the cotton gin in the mid 1790s, and cotton farmers were in need of more slaves. 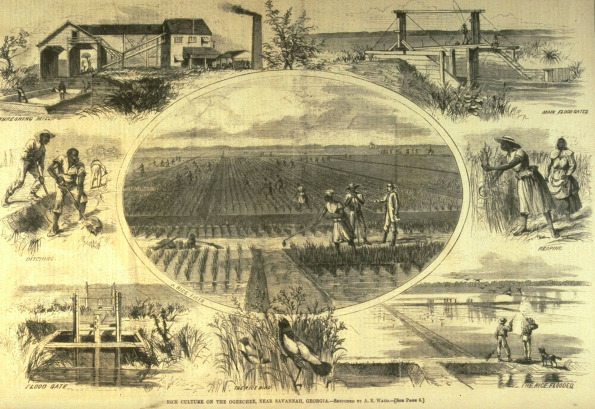 Planned cotton and sugar cane plantations in the rich fields of the 1803 Louisiana Purchase also required laborers, but the terms of the purchase contract banned the importation of foreign slaves. Finally, the Article in the United States Constitution that protected international slavery was set to expire on December 31, 1807. All of these things came together to persuade South Carolina to reverse its rules and become the nation’s primary site of international slave trade in its last legal years of operation. 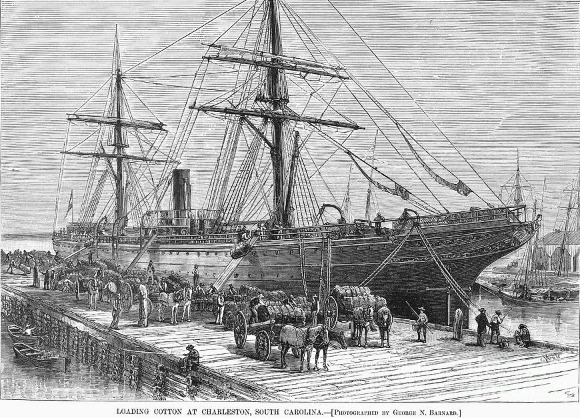 From December, 1803 through December, 1807 more than 400 slave ships arrived in Charleston from Africa carrying more than 75,000 slaves. The city itself had fewer than 25,000 residents. After the ‘Middle Passage’ across the Atlantic ocean, many of the new slaves went to work at tidal rice plantations along the southern coast or to cotton plantations in the Upstate and the Sea Islands. Others were shipped back out for a six-week journey to the Port of New Orleans and work on Louisiana cotton and sugar cane plantations. During the last two years of legal international slave trade, disembarkation was limited to Gadsden’s Wharf. What an unexpected slice of history. Today’s Gadsdenborough neighborhood is home to the South Carolina Aquarium, the Fort Sumter National Monument, the Maritime Center, several parks and other attractions. 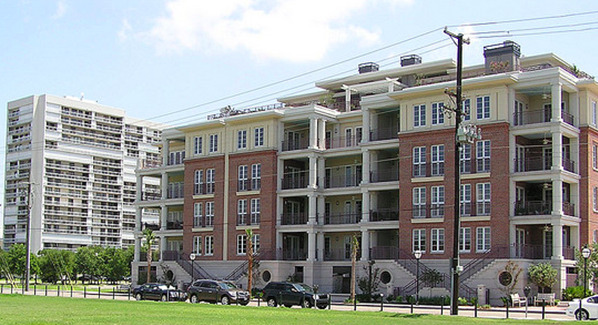 Over the last five to ten years, several luxury condominium residences have been erected in the area. Lois has an airy, spacious unit for sale in Anson House at 2 Laurens Street. Click to see the full listing information or call Lois at 843-270-2797 for a showing.